I hope you’re enjoying the long “4th of July” weekend and that you’ll join me this evening for “Great Soul Performances” where you’ll hear: Bobby Womack, the Temptations, Tyrone Davis, MFSB, Rare Earth, the O’Jays, the Spaniels, New Birth, Arthur Prysock, the Intruders, Aretha Franklin, the Young Rascals; live in concert, and more. The show starts at 6PM ET, 5PM CT, 4PM MT & 3PM PT. I’ll be looking for you later with “Great Soul Performances” on RadioMaxMusic.Com. Happy Independence Day. 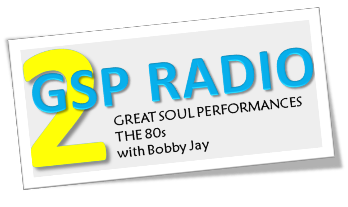 This week Ron Kovacs fills in for Bobby Jay on Great Soul Performances. We’ll feature music from Simply Red, Pointer Sisters, Four Tops, Ben E. King, Kool and The Gang, Eartha Kitt, Diana Ross, Earth Wind and Fire, Tyrone Davis, Bobby Brown, Sister Sledge and more! It all starts 7pm ET Live on RadioMaxMusic. I hope everyone is having a great Saturday and especially my friends and family in the North East, I hope this weekend is much better than last. On “Great Soul Performances” this evening, you’ll hear: Tyrone Davis, McFadden & Whitehead, Natalie Cole, Eddie Floyd, Love Unlimited, the Jimmy Castor Bunch, Gene Chandler, the Four Tops, Aaron Neville, Earth, Wind & Fire and more. We start at 10PM ET on RadioMaxMusic.Com. Later ‘Gator.